Bribery Act: The cash cow. Why the SFO budget for the Bribery Act could be zero & it wouldn’t matter! The Daily Telegraph reported today that the SFO budget for enforcing the Bribery Act is £2 million. 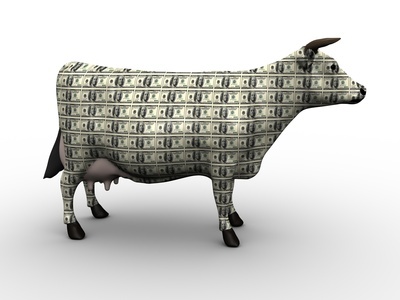 Hardly a cash cow. Or is it? The Telegraph highlights that such a limited budget calls into question the ability of the SFO to enforce the new law in a meaningful way. However, we advocate exercising caution before undertaking a bank robbers analysis and concluding that the likelihood of getting caught is low and chancing it. The SFO is keen to point out that their chances of discovering wrongdoing are high against a back drop of increasing international co-operation between enforcement agencies and whistleblowers. Putting to one side the decreasing costs of uncovering corruption another aspect which has not been widely reported is the fact that the Bribery Act is largely a self funding piece of legislation. Any fines will be paid to the Treasury and so the Act is a money spinner for government. Better still, if the proceeds of crime are confiscated (and they will be as we have highlighted before on more than one occassion) then the SFO will benefit directly. “Under what is somewhat surprisingly called an “incentive scheme”, the proceeds obtained from a confiscation order are, once collected by the Ministry of Justice, distributed to the Home Office in accordance with an agreed protocol with HM Treasury. That confiscation income is then distributed by the Home Office who retain 50% passing 18.75% to the prosecuting authority and 18.75% to the investigating authority and 12.5% to Her Majesty’s Court Service.